The organization of Liberians in Minnesota (OLM) is a community base 501c 3 Non-profit organization that caters to the needs of Liberians in the State of Minnesota. Founded in 1973 and incorporated in 1979, OLM’s mission is to provide social services to immigrants and refugees in the areas of education, housing, health, employment and other social initiatives. Homed in suite 200 of the building shown here as the Liberian Community/OLM Center, OLM prides itself on her values of integrity, trust, accountability and empathy, as well as the vision of becoming an organization that makes a significant difference in the lives of members of the Liberian community and those they serve. As an organization with over thirty-five thousand memberships, OLM is led by an Executive Director and a nine-member board of directors; hence the mandate for implementation of the goals and objectives of the organization is vested in the board through the membership via an electoral process that occurs every two years. The board of directors hires the executive director who serves according to the term of his or her employment. 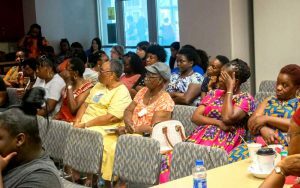 As the single largest representative and voice of all Liberians in the State of Minnesota, OLM plays the role of an advocate and catalyst by bringing emerging issues that affect Liberians into focus for prompt resolution, educate individuals and institutions about prevailing subjects on culture, language, and traditions. One of the important roles of OLM is promoting the image of Liberia as a country. OLM works with many partners, including county and tribal organizations, business entities, State and Federal agencies, non-governmental organizations, the media and civil society. 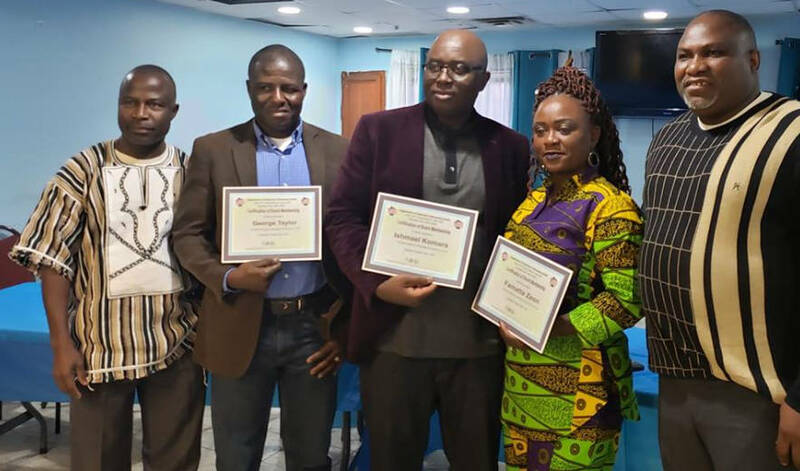 Most recently, in collaboration with the Sister City Committee and the Booker Washington Institute (BWI) alumina association, the Margibi County Association, and the cities of Brooklyn Center and Brooklyn Park, much needed assistance was committed to Liberia. A Fire Truck from the city of Brooklyn Park was donated to Liberia; six-week training was provided to the Fire Chief/Commissioner of Liberia, training on good governance for city council members took place in Kakata and Voinjama through the cities of Brooklyn Park and Brooklyn Center. OLM was also at the forefront of engaging community members and stakeholders when the Ebola epidemic devastated our country. OLM continues to work tirelessly with partners to continue the advocacy for Liberians on Temporary Protective Status (TPS) and Deferred Enforced Departure (DED). OLM, like many non-profit organizations, has faced the challenge of garnering the necessary funds to successfully implement the goals and objectives set out in her mission statement. However, with an assumed membership of over thirty five thousand (since every Liberian living in Minnesota considers himself/herself a member of OLM), and a restructuring presently underway with emphasis on providing more social services, by the present Board of directors under the chairmanship of Abraham B. Bah, to change the direction of the organization, along with the increasing interest shown in the organization by Liberians in recent times means that the good days of OLM still lies ahead. The reorganization and increasing interest of the membership, coupled with the solidification of partnerships with the Liberia Ministers Association (LMA), Masjid AL-Ansar Islamic Community Center, African Immigrants Services (AIS), and the Liberian County & Tribal Associations in Minnesota, the future of OLM indeed looks bright.